Not every German Shepherd is going to be a stereotypical tan with a black "saddle" and a black "mask." In fact, this breed's coat thickness, colors, and patterns vary significantly. 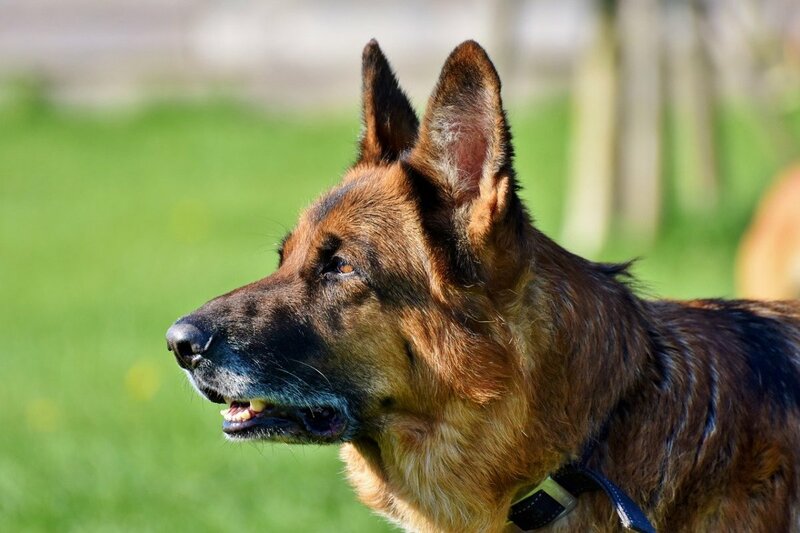 Some breed purists today might disagree, but just because the coloring of a GSD isn't show-ring standard doesn't mean it isn't up to breed standard for temperament, personality, and body shape. 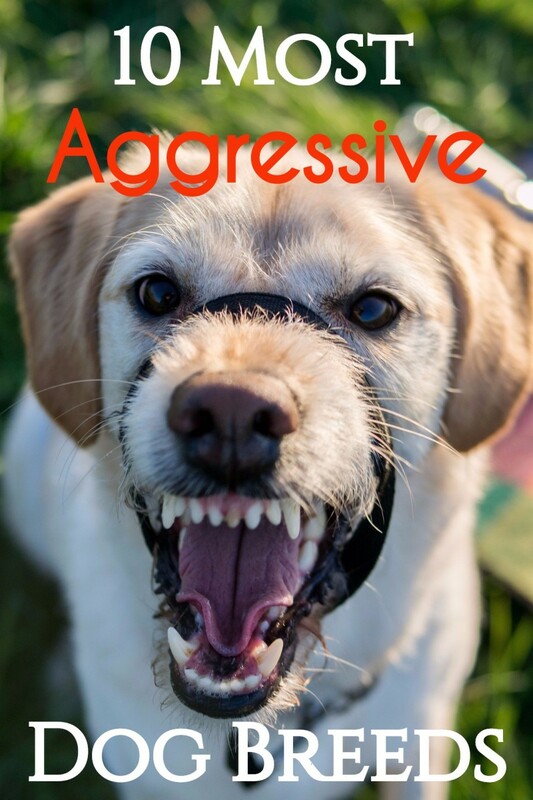 Before concerning yourself with a dog's physical appearance, you should look to see if it has the right temperament. 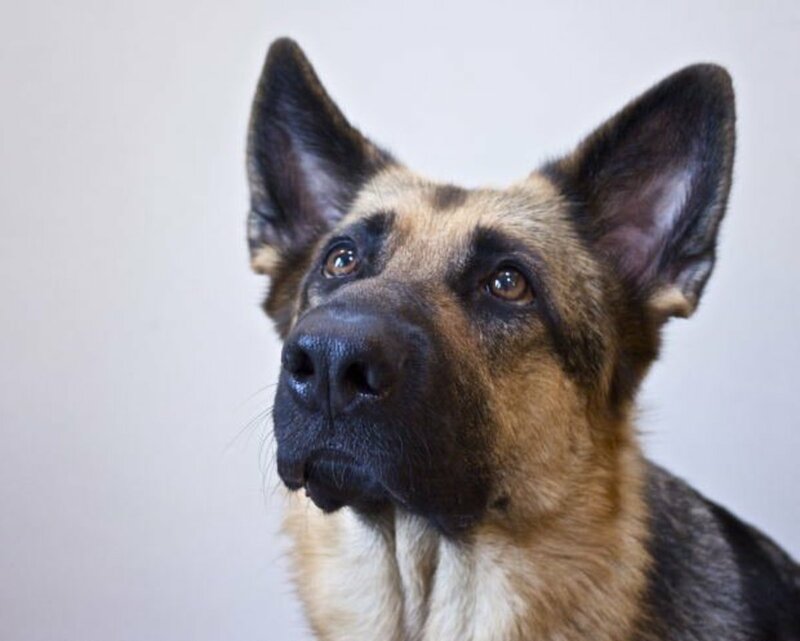 But if you still want to pick a puppy based on physical appearance, this article will guide you through the most common GSD patterns as well as coat types. 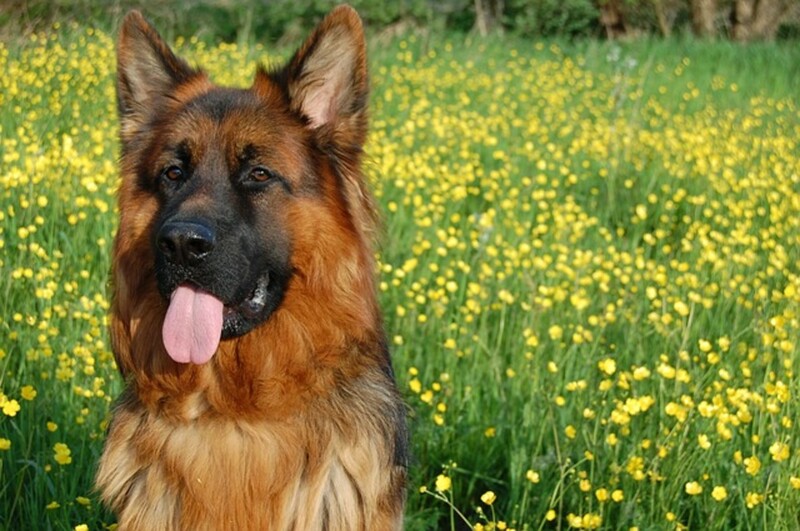 What Are the Most Common German Shepherd Color Patterns? This is the most common and most popular color combination. 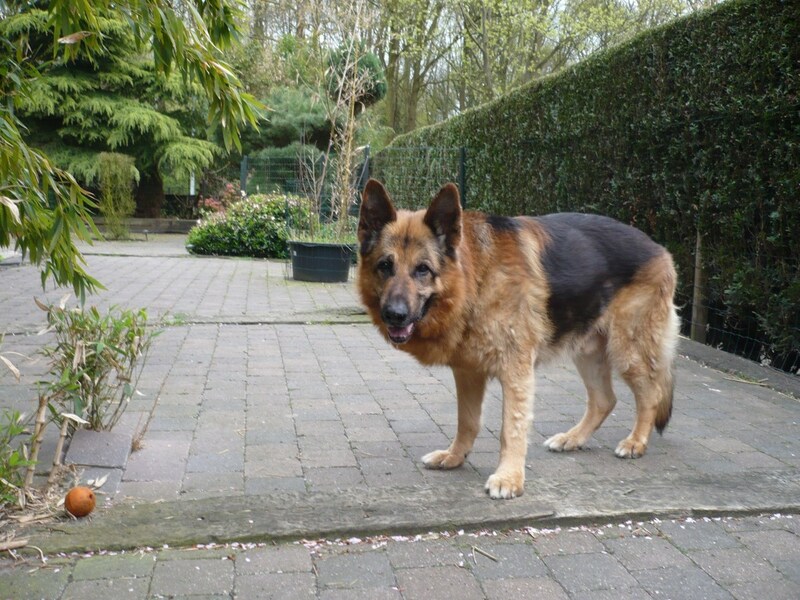 Famous German Shepherds (e.g. 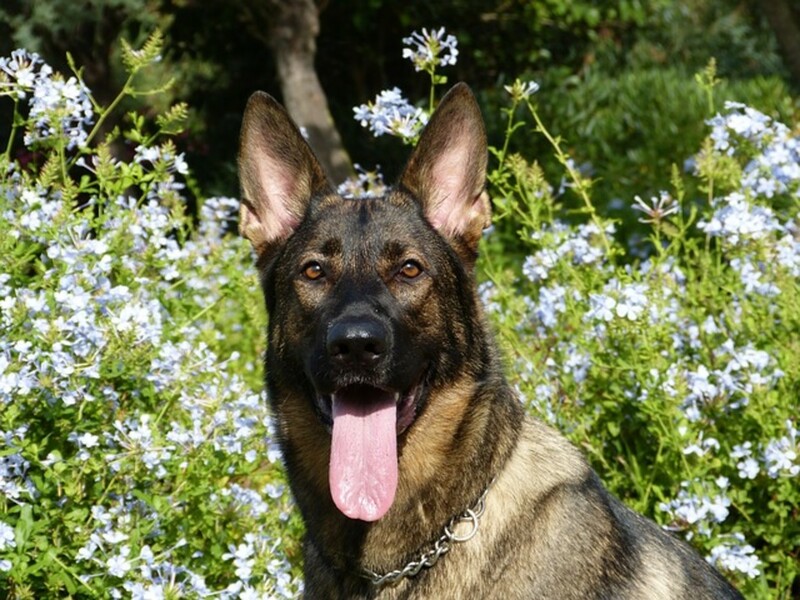 Rin Tin Tin) and show-ring GSDs have this coloration. These dogs usually have tan or cream legs, underbellies, and necks, with black “saddles” on their backs that stretch from their neck down to their tail. They may also have prominent black “masks” on their faces. Both the American and the Canadian show lines prefer this coloration. 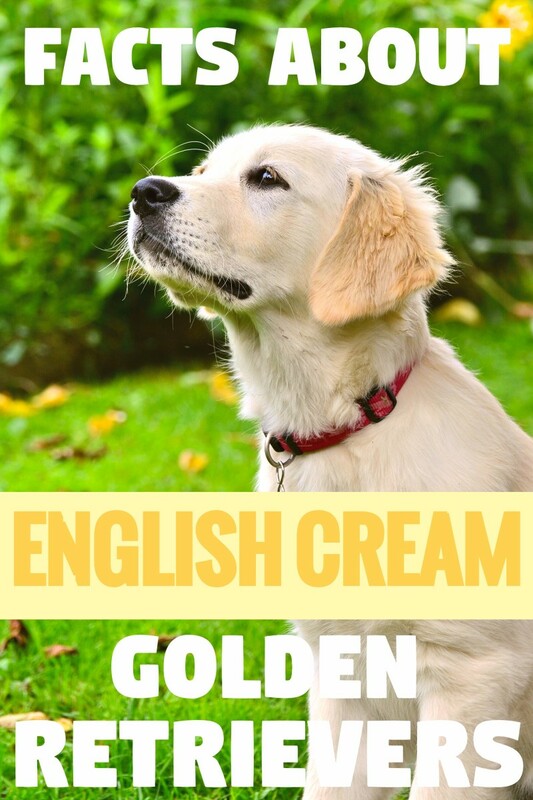 Some dogs will have some “silver” (a very light cream color) on their stomachs, which some breeders find acceptable. Dogs in the German show line often have this coloration. They have the same pattern as black and tan dogs, but the tan part is more of a red or sometimes even a strawberry blonde. In some instances, instead of black and red, they will be black and silver. The silver part is described as being a light shade of cream. Black and silver German Shepherds are by no means rare, but they are not as commonly shown as GSDs that are black and red. Despite being called “bicolor,” these dogs are actually one solid color: black. Their heads, legs, backs, and tails should be completely black. Sometimes, they have brown on their feet, but in order to be considered a bicolor German Shepherd in the show ring, their heels must be black as well. Dogs with black heels are sometimes aptly called “tarheel." 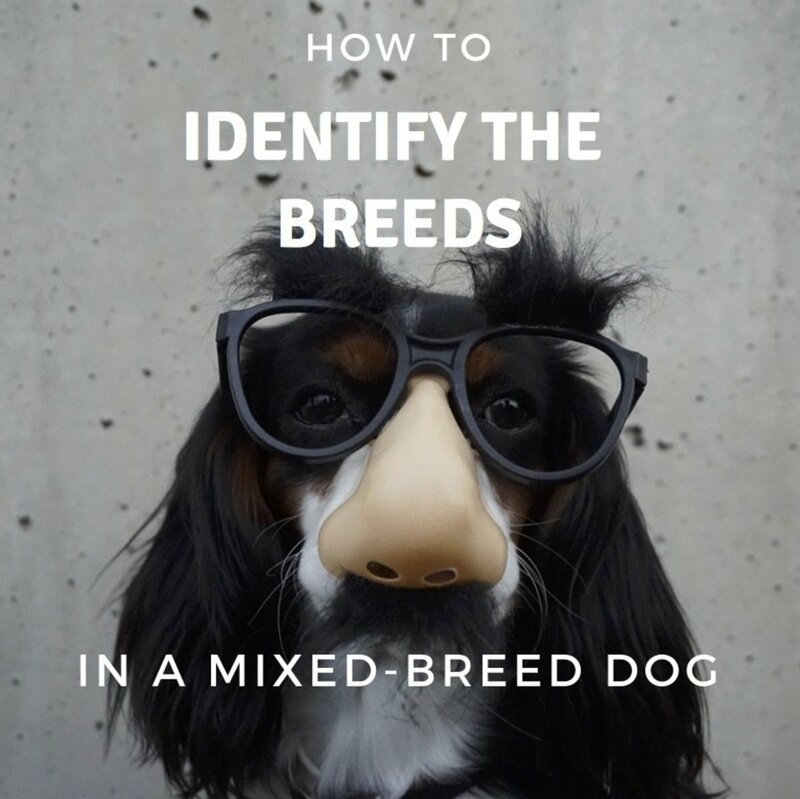 They may also have some dark brown on their faces and around their ears, but any brown or tan features are usually not very prominent. These dogs are rarely seen at shows because these colors are indicative of diluted genes. 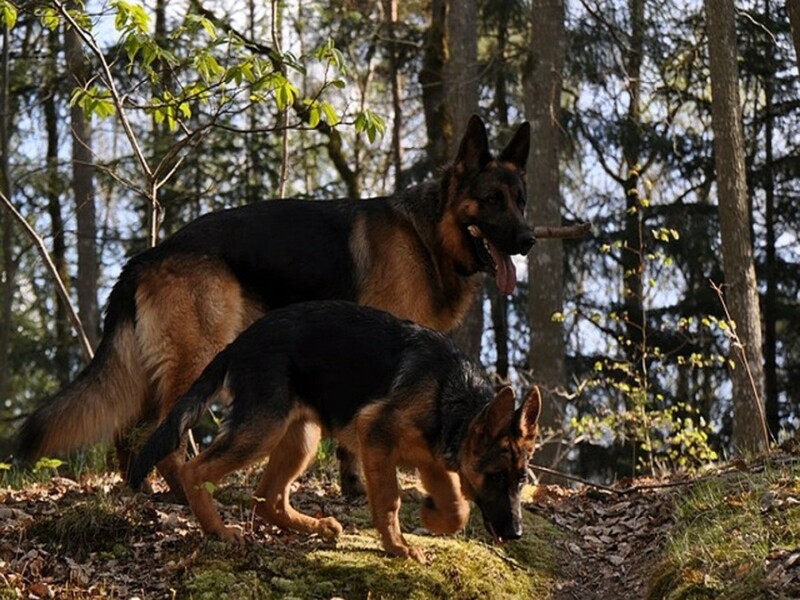 They may still be considered purebred German Shepherds, but their lack of a typical black coloring indicates that somewhere in their ancestry there was breeding among canines that did not have the proper colors. Blue is described as a slight dilution of black. Depending on how dark the blue color is, these dogs might still be shown in the ring. Breeders consider light blue to be undesirable, though. 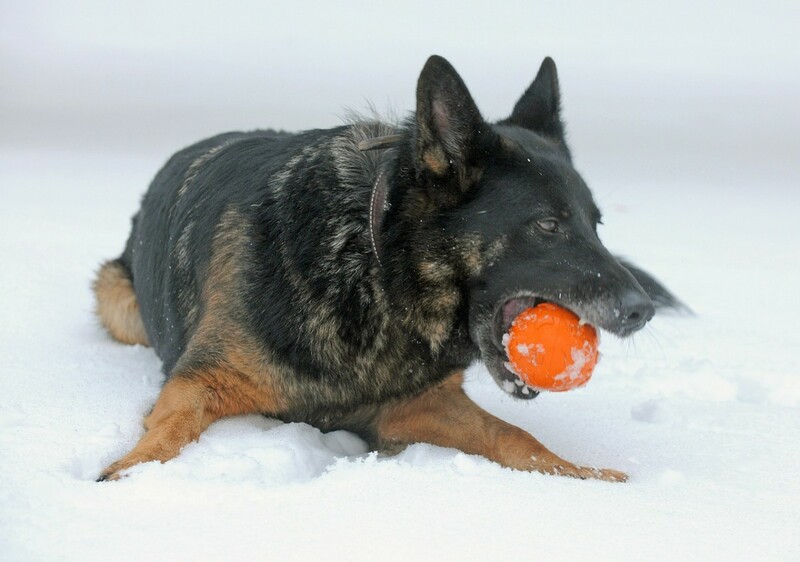 GSDs that are liver and tan have the appropriate saddle and mask markings, but instead of black, they have a rich brown color. Sable German Shepherds are more common in working lines than in show lines because working dogs do not have the acceptable coloration pattern for show. They have banded fur, which means that each individual hair is multi-colored. Common colors include silver, brown, black, and sometimes even red. These hairs are usually masked by a layer of black hair. Their coats change a lot over the first two years of their lives, so it can be difficult to predict what a sable puppy will look like as an adult. Sable patterns come in many different varieties, with black over cream being the most common. Liver over cream, black over red, and silver over cream are also possible. Gray GSDs are a type of sable, but their fur is more wolf-like in color. This color is often called “wolf gray.” These dogs may have coats that are black over silver or gray over silver. German Shepherds can also be entirely white or completely black. The white variety is simply a manifestation of recessive genes, similar to blonde hair in humans, and is not indicative of albinism. Sadly, white GSDs are not permitted to participate in most kennel club shows, but they can participate in obedience and agility competitions. Black GSDs are also a result of recessive genes. They will sometimes have white patterns on their chests. 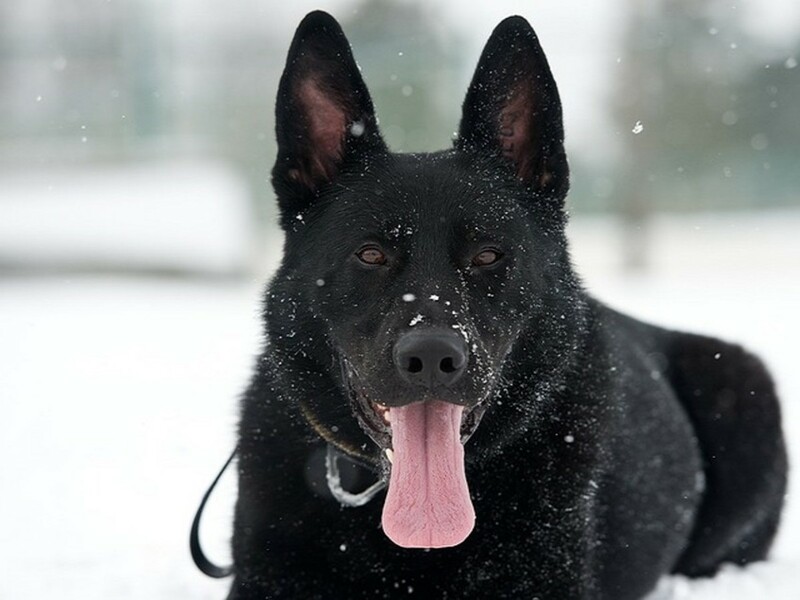 Unlike black and tan dogs that start out predominantly black but take on a more typical appearance as they age, black GSDs remain black for the rest of their lives. A double coat with medium length is considered the most desirable. This type of coat may be fairly wiry, depending on the dog. A shorter coat is sometimes considered acceptable by breed standard. Both of these coats should be “plush." This means that there is a fluffy coat beneath the outer coat, which gives the fur some volume. While longer fur is not accepted for showing, many owners prefer this coat because it makes their dogs soft. Owners also like longer fur around the neck because this gives the dog a lion-like appearance, especially if he is predominantly tan or liver colored. Plush coats and longer haired German Shepherds do need more coat care. What coloring does your German Shepherd have? My one is only white there population is the lowest from all german shepherds. Me and my family have been getting white German Shepards for over 20 years . The breeder we would use in the past retired so we found Rolling H Farm from Tennessee and the dog we had got is one of the best dogs we have had, i highly recommend visiting their web page if you are planning on getting a white shepard. I hope my information helps anyone looking . We (my spouse and me) are looking to buy a purebred GSD. We live in Vaughan, Ontario, Canada. Could you recommend a reliable breeder in a 100 mile radius. We do not wish to work with a breeder from the phone book!!! Thank you. Depends on the genes and colours. I have seen a complete black german shepherd from two black-tan german shepherds. They had a lot of black in them. I have never seen it the other way around, a complete tan or something so I guess it is about dominant and recesive colours genes and combinations. 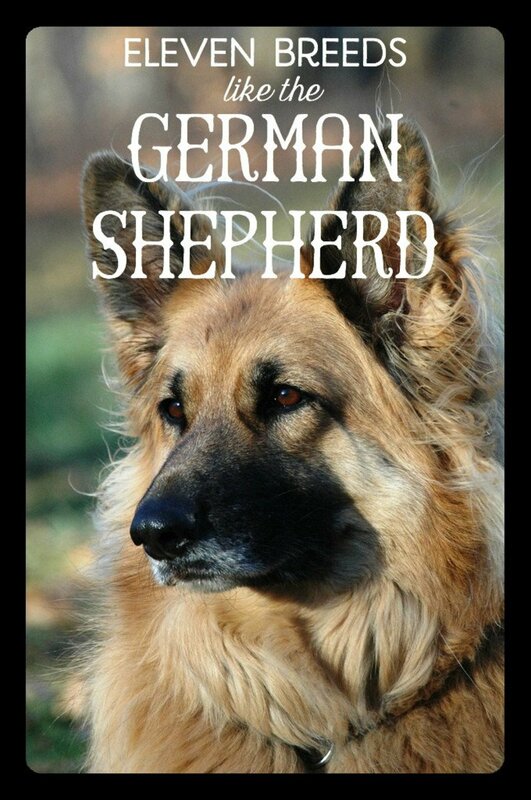 Will read up some more on the genetics of the breeding of german shepherds to add to this article. Thanks for your message, but I don't have the statistics on how rare color patterns are. The only thing I know is something like Black is more rare than classic Black - Tan etc. When you look at the votes for the poll you could be able to get a general idea. The only issue is, I've put white and black together. The color patterns don't match all the color patterns I've desribed. Also some dogs don't completely fit in one or the other category. From personal experience which is probably biased and dependend on where you live. But I've seen 10-15 times more black/tan and black/red than pure black. I've seen 6-8 times more black/tan and black/red than sable/gray etc. Sorry that I'm not more of a help on your question. As an owner I mostly just feel that every gsd I've had was unique. I've had mostly black/tan / black/red variations. I am 12 living in a small city ,so if i dont spell things right im sorry.I was wondering if it was possible for you to see how rare my dogs are.I have a solid black with black paws.Another one and shes a golden german shepherd with a black face with like red head colored on her back with a white and black striped tail.Another one who is a sable silver german shephered with a black face, white tummy,with silver on is whole back and face.So could you please answer my question?Thank you!